Join us from 1-4pm at Fazzini’s Taverna in Cockeysville, MD for a fundraiser event where you can create your own custom glassware! We are once again partnering with Drinkable Arts and Fazzini’s to bring you a fun-filled event. 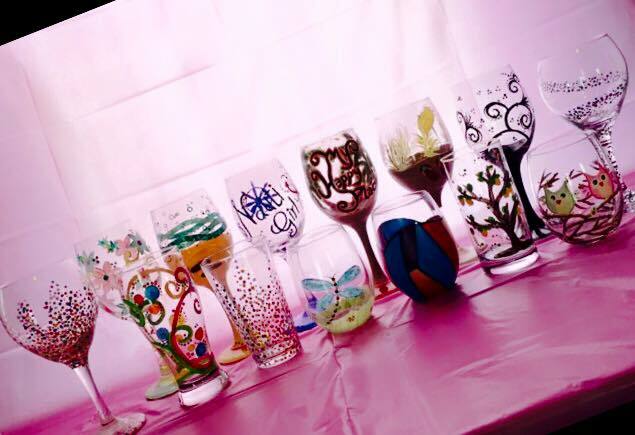 Paint a wine glass, mason jar, coffee mug, or pint glass for yourself or someone special. Makes a great holiday gift! Door prizes and raffles will be offered as well! ← Sip & Paint with Creative Chance and Drinkable Arts!